The beautifully-molded design of the full/queen headboard fits any modern bedroom. 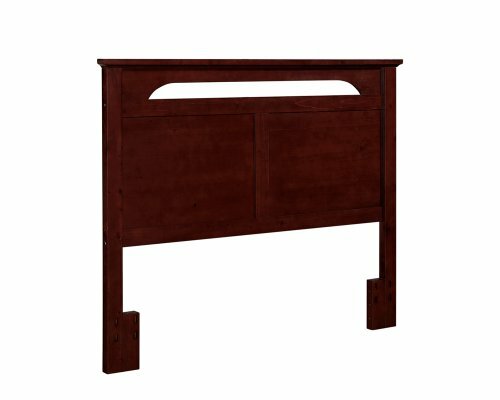 Featuring a richly textured cherry finish, this queen bed frame headboard is just the right size for a two-person bed. The recessed panels of this cherry headboard give it an appealing look, and it also features a decorative top rail for added elegance. Relax at the end of the day in your comfortable and stylish bed, or lean back against the full/queen headboard and enjoy a good read in the afternoon. The sturdy, solid design of this cherry headboard will last for generations. This queen bed frame headboard will add a touch of luxury to your home.